VMware Player is a great alternative to Hyper-V for Windows desktop environments. While Hyper-V is only available in the more expensive editions of Windows, VMware Player installs on all versions of Windows as well as on Linux variants. VMware Player has an easy user interface and may be a better option for the home user or newbie virtual machine users. Advanced users may want to consider purchasing VMware Workstation instead, which offers much more VM management features. Note, however, that commercial usage of VMware Player requires a Pro license, which is priced below that of the VMware Workstation edition. While cost is one thing, ease of use is another. The simplicity of VMware Player makes it a perfect tool for development and testing but also for commercial applications where the virtual machine has to integrate seamlessly and where users do not need to be aware of the fact that the user interface is powered by a virtual machine. One great feature is, for example, the non-persistent disk. When the VM is restarted, all changes are discarded. There are plenty of usage scenarios where resetting the entire system is necessary and needs to occur in the shortest time possible. Many IT system designers choose VMware Player for such settings due to its lower cost and simple architecture. There are additional advantages, however. VMware has a great advantage over Hyper-V in that it has better Linux support and supports older versions of Windows better, too. Naturally, Microsoft has little to gain making older Windows operating systems work well inside virtual machines, so it’s unlikely that Hyper-V will catch up in that respect. Furthermore, Linux is competition for Microsoft and that is probably related to the slow adaption of Linux in Hyper-V. VMware, on the other hand, does not have such conflicts of interest and strives to provide the best VM experience on all platforms. But with so many technologies for virtualization, how do we go about protecting VMs using different operating systems in a standardized way? Protecting a VM via a VMplayer Backup is simple when you have the right tool. The beauty of having virtual machines is they are isolated and it doesn’t matter what guest OS is installed in each VM. When backing up virtual machines, the virtual machine backup software utilizes several mechanisms to take a consistent backup of the VM. For each virtualization platform, whether Hyper-V, VMware, VirtualBox, these mechanisms may differ but are dealt with by the backup solution. Ideally, the tool also allows direct access into the VM’s file system so that you can access files quickly when you need them. So which one is the winner? 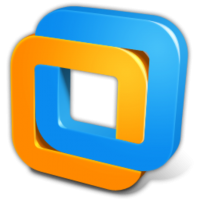 VMware Player, Workstation, VirtualBox, or Hyper-V? The answer will depend on the circumstances, such as budget, IT infrastructure, user experience level, operating systems involved, and potentially a lot more factors. It definitely makes sense to test drive each solution well in order to uncover the pros and cons of each as they pertain to your situation. More in-depth details related to virtual machine backup in this post discussing Hyper-V backup.